Godavari River Sailing Expedition for Naval Wing cadets of National Cadet Corps (NCC) was flagged off by Air Commodore P Maheshwar, Deputy Director General, NCC Directorate (Andhra Pradesh & Telangana) at Bhadrachalam today. The expedition comprises of over 75 personnel including 02 regular officers of Indian Navy, 42 NCC Naval Wing cadets and support staff from the AP&T NCC Directorate namely Hyderabad, Visakhapatnam, Vijayawada, Kakinada and Nellore. 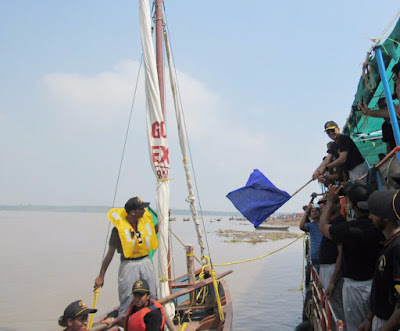 The aim of the expedition is to provide an opportunity for Naval Wing cadets to experience adventure sailing in Godavari River and train them in various facets of Navigation. The cadets will also be exposed to local historical places along the expedition route. The overall in-charge of expedition is Commander SP Kaza, Commanding Officer of 8 Andhra Naval Unit, Vijayawada. The expedition will cover a distance of over 410 km transiting the mighty Godavari River from Bhadrachalam to Samarlakota. During the expedition, the sailing boats will negotiate the nerve testing rapids at various points in the River. Navigation between sand bars and rocks at low level areas and will also transit through Papi Kondalu hills between Kunavaram and Devipattinam. The expedition will reach at Samarlakota on 15 Sep 2017. 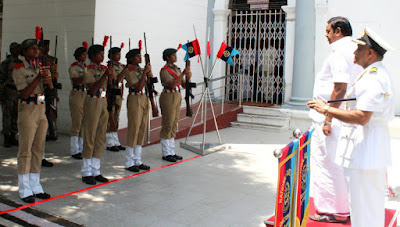 On the occasion, the Flag Officer addressed all the officers and cadets and motivated them to undertake the expedition in the true spirit of adventure. He specially applauded 14 Girl cadets who are participating in the expedition for the first time. Commander SP Kaza conveyed special thanks to the Bhadradri District Collector who has been kind enough to provide all the necessary help for the first phase of the expedition. 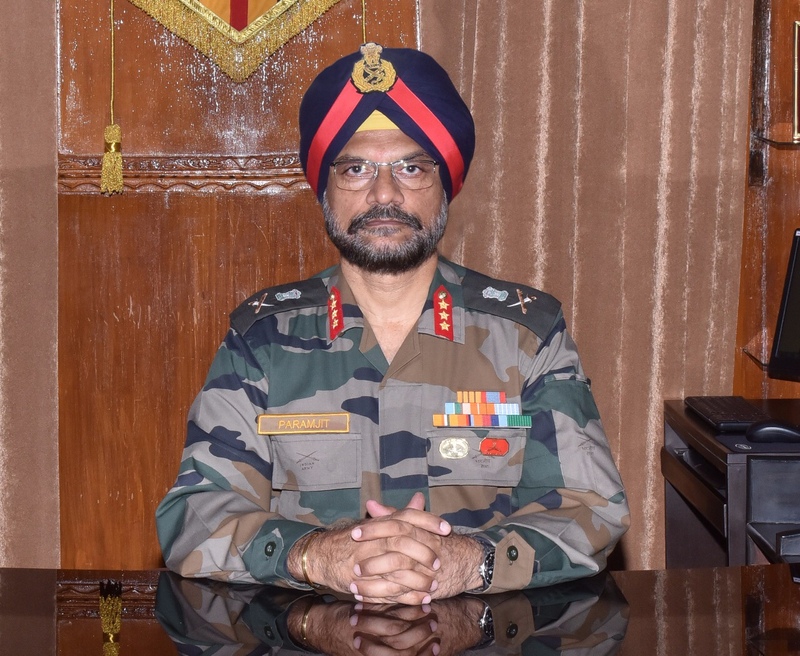 Lieutenant General Paramjit Singh took over the Command of Military College of Electronics and Mechanical Engineering (MCEME) as Commandant in Secunderabad today. 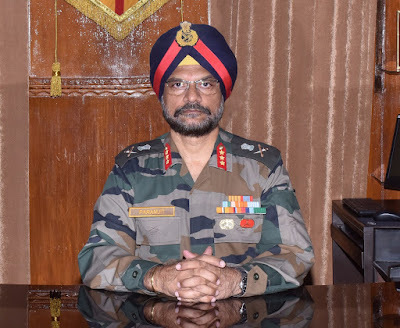 The General Officer took over the reins of MCEME from Lieutenant General KK Aggarwal, who has proceeded to Integrated Headquarters of Ministry of Defence (Army), New Delhi as Director General of Electronics and Mechanical Engineering. 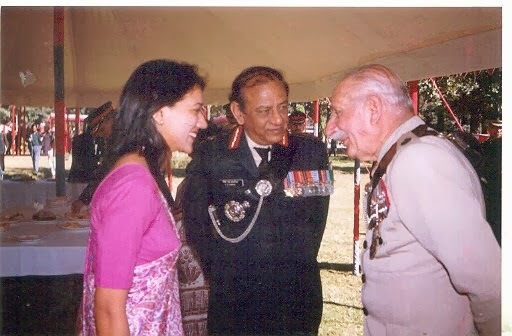 Lieutenant General Paramjit Singh is an alumnus of NDA and IMA. An Electronics Engineer, he is a Post Graduate in Radar Technology and M. Tech in ‘Management and Systems’ from IIT, Delhi. The General Officer has tenanted important staff and regimental appointments. He has been Deputy Military Attache (Tech) in Embassy of India, Moscow, MGEME of Western Command and Commander of Army Base Workshop Group before joining MCEME. For distinguished service of an exceptional order he was decorated with Vishisht Seva Medal (VSM). Military College of Electronics and Mechanical Engineering, Secunderabad was established in 1953. 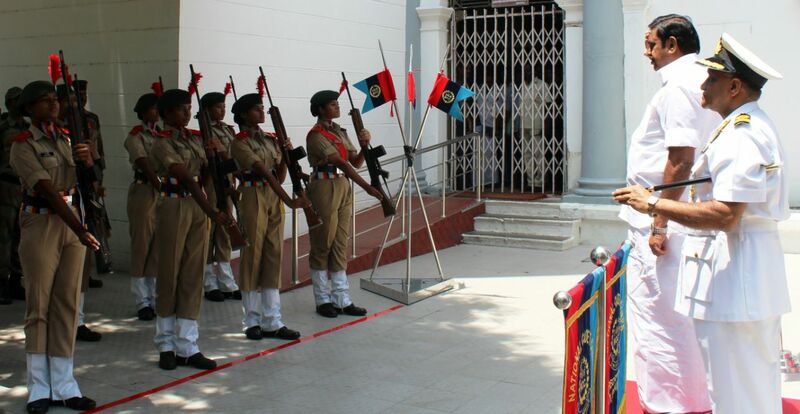 Over the years the College was developed into a premier training institution of the Indian Army. The College is proud recipient of Golden Peacock Award for training for five times and also ISO-9001 certified for training standards. The students’ projects made by the College have been awarded Prime Minister's Awards. MCEME has also received 'Director General of Civil Aviation' accreditation for Type Training Establishment. 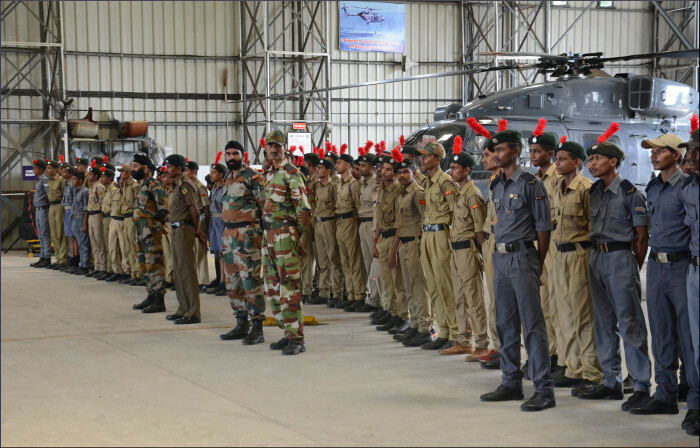 The MCEME trains technical personnel of the Army for providing sustainment and engineering support to the equipment of the Indian Army. The Hon’ble Chief Minister of Tamilnadu had dedicated the NCC Training Academy at Idiyapatti Madurai to the youth of Tamilnadu through Video Conferencing at Secretariat today (01 Sep 2017). Constructed at a cost of Rs 13.62 crores, the NCC Training Academy boasts of giving State of the art training facilities to the NCC cadets of Tamilnadu which were never available in the past. 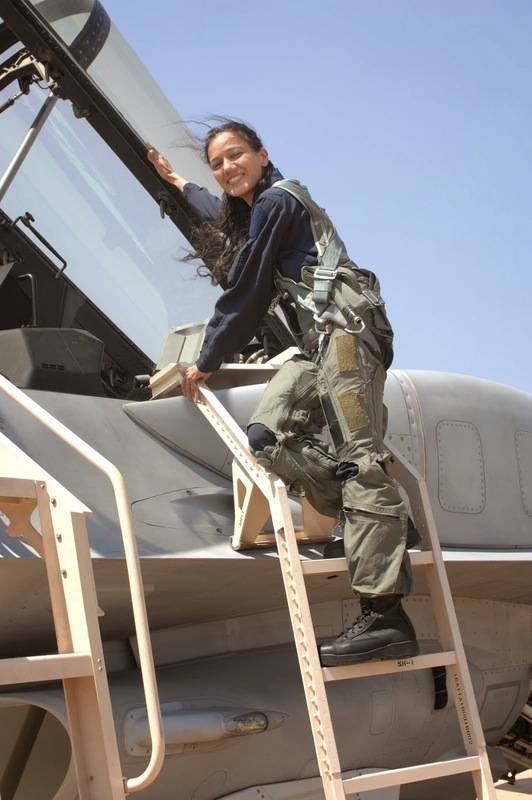 The academy spread over 10 acres has best of Obstacle Course, Firing Range, Weapon Simulator and Driving Simulator. It also has Artificial Rock Climbing wall to provide adventure training to the cadets and English language Lab to give Spoken English training. The training received by cadets at this academy will make them stand in good stead in all their future endeavours for joining armed forces and allied services. The academy has capacity to accommodate up to 600 cadets with arrangements for Steam cooking and sitting dining facilities. It also has covered auditorium for conducting central training programmes with a capacity of 550. 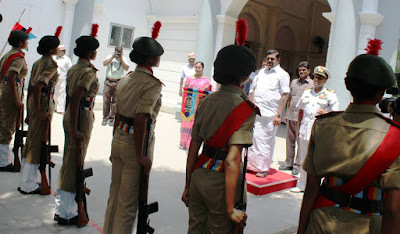 Speaking on the occasion the Hon’ble Chief Minister conveyed that the youth of Tamilnadu must make good use of the facilities and come forward to join NCC and help in Nation Building. Dy DGNCC Directorate Tamilnadu thanked Tamilnadu Govt for giving complete support in all projects being undertaken by NCC. In this program, Hon’ble Minister for Youth Welfare and Sports Development Department Thiru P Balakrishna Reddy, Chief Secretary Dr Girija Vaidhyanathan, IAS, Youth Welfare and Sport Development Department Principal Secretary Thiru Dheeraj Kumar, IAS, Commodore Vijesh Kumar Garg, Deputy Director General, NCC Directorate Tamil Nadu, Puducherry & Andaman Nicobar and other high officials participated. 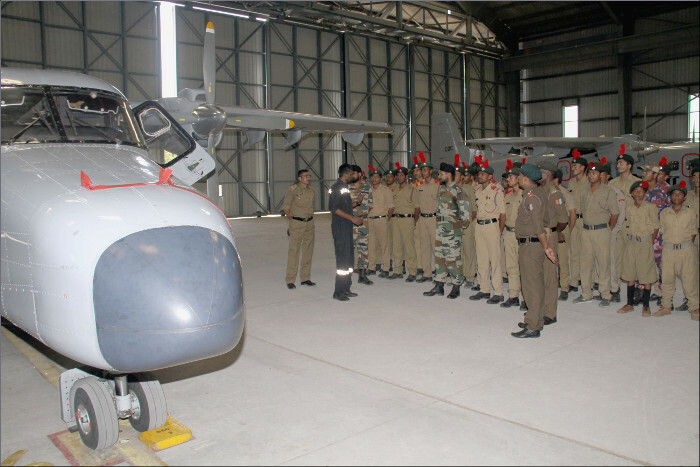 Air Marshal C Hari Kumar AVSM VM VSM ADC, Air Officer Commanding-in-Chief (AOC-in-C),Western Air Command, IAF visited Air Force Station Faridabad on 31Aug 17. 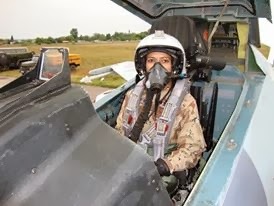 He was accompanied by Mrs Devika Hari Kumar, President Air Force Wives Welfare Association (Regional). 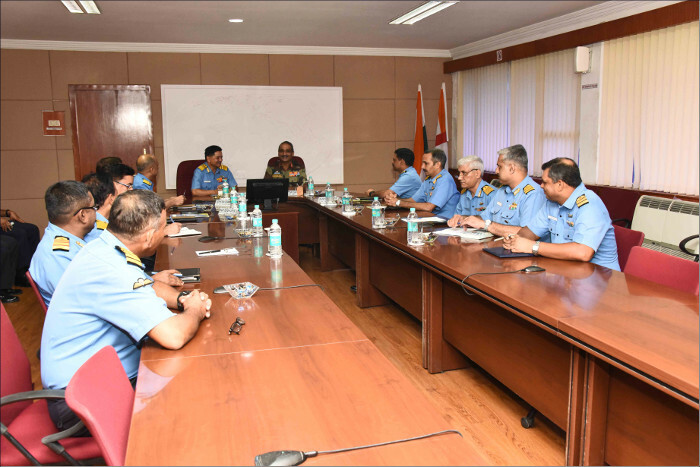 The AOC-in-C reviewed the operational preparedness of the station and was briefed on the future plans by GpCapt Kaushik Das, Station Commander, Air Force Station Faridabad. He assessed the security preparedness of the station and emphasized on the need to maintain high state of vigilance in view of the prevalent security scenario. 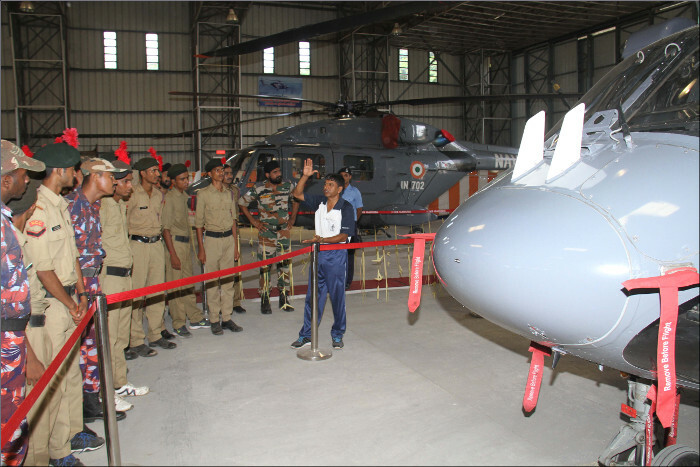 He also visited Air Force Dog Training School, which is one of the finest Dog Training Schools of Indian Armed Forces. The Air Marshal interacted with the personnel of the station and complimented them for their efforts, resulting in optimum and efficient functioning of the station. Mrs Devika Hari Kumar, President AFWWA(Regional) visited the welfare ventures run by AFWWA(Local) and interacted with the AFWWA Sanginis. As part of the Indian Army’s ongoing outreach programme to foster the spirit of National Integration across the entire swathe of the country, a tour comprising of 20 school students from Biamah in Leh district of J&K is being organised from 25 August to 05 September 17. 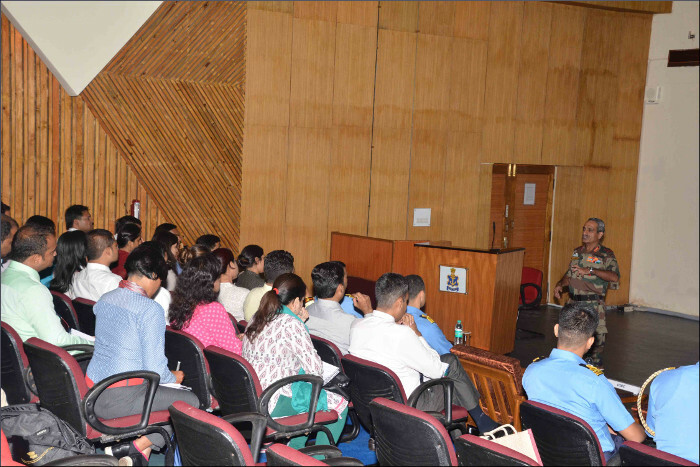 The participants interacted with Lt General Sarath Chand, Vice Chief of Army Staff today. He shared his experiences while serving in these areas with the students and motivated them to work hard and contribute actively in the Nation Building process. 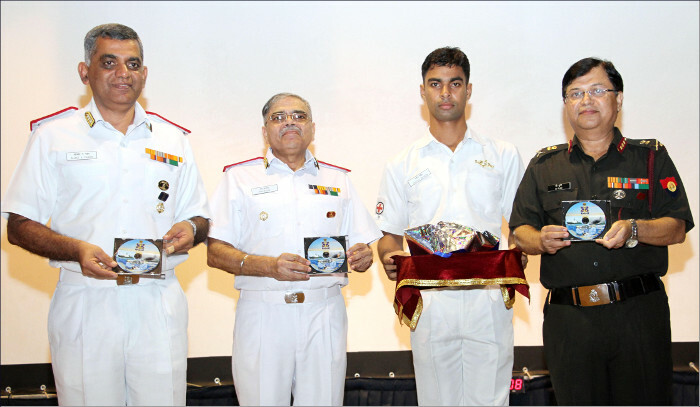 He also exhorted them to join the Indian Armed Forces and serve the cause of the Nation. The tour was flagged off from Leh on 25th of August and during the course of their tour the participants have already visited various cultural and historical places in Chandigarh and Delhi. These National Integration Tours are educational and motivational tours for youth of J&K and North Eastern States, with an aim to provide an insight into the rich heritage of the country as well as various developmental and industry initiatives that are underway. 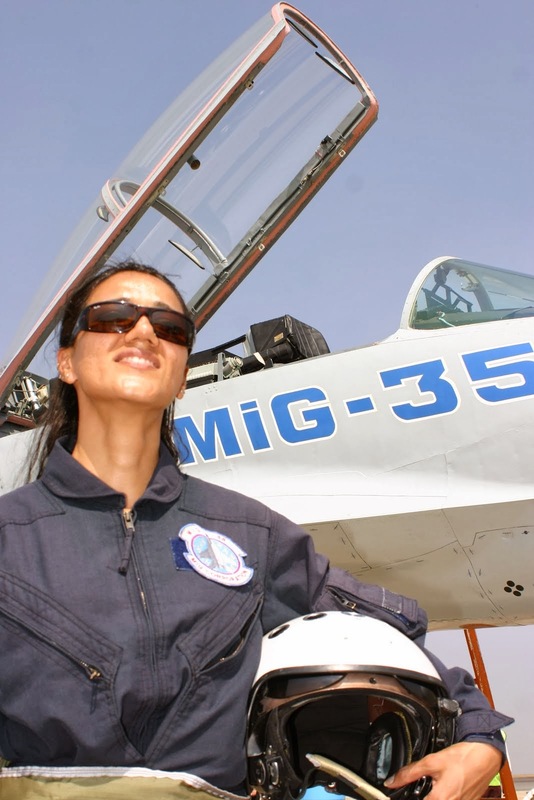 This initiative will expose them to various career options and enable them to interact with renowned personalities. The XXXIII Annual Conference of Marine Medicine and Allied Sciences was held at INHS Asvini on 31 August & 01 September 2017 under the aegis of the Marine Medical Society of India. The theme of this year’s Conference was “Medical Challenges for a Blue Water Navy”. 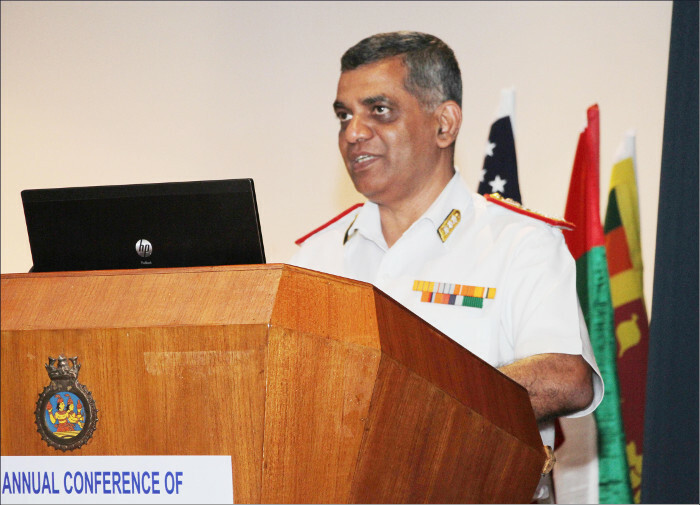 This year’s conference was conducted under the baton of Surgeon Vice Admiral AA Pawar, Director General Medical Services (Navy), the present President of the society. Officers, Civilian Doctors, Divers, Submariners and non medical personnel in the field attended the conference. In addition, delegates from eight foreign countries including Bangladesh, Indonesia, Kenya, Myanmar, Oman, UAE, USA and Vietnam are also attending and are participating in the scientific deliberations, presenting papers and sharing their experiences. Other senior officers who participated in the deliberations included the Director General Medical Services (Air Force), Director General Health Services (Armed Forces), Commandant Army Hospital (R&R), New Delhi, Director General (Org & Pers), Senior Consultant, Medicine and the Command Medical Officers of all three Naval Commands. The July issue of “Journal of Marine Medical Society”, which is being published since 1994 and is now indexed with Copernicus, was released during the inauguration. 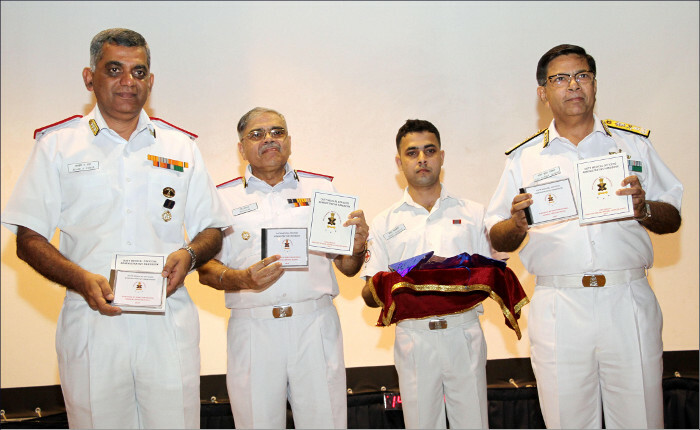 In addition, a Handbook for Duty Medical Officers and a Resource CD for Medical Officer’s in the field were also released. A coffee table book on glorious past of . 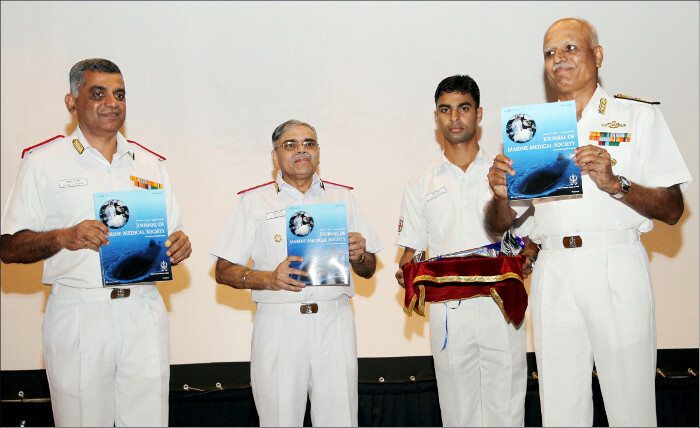 INHS Asvini, the flagship tertiary care hospital of the Indian Navy, was also released. Lt Gen Satish Dua, UYSM, SM, VSM, Chief of Integrated Defence Staff to the Chairman, Chiefs of Staff Committee (CISC) accompanied by Mrs Aradhana Dua, President Defence Wives Welfare Association (Integrated Defence Staff) arrived at Visakhapatnam on three-day visit to ENC on Thursday, 31 August 2017. Correspondents Course-2017 on the need and role of Integrated Defence Staff (IDS) during the visit. The General Officer interacted with Vice Admiral HCS Bisht PVSM, AVSM, ADC, Flag Officer Commanding-in-Chief, ENC and was briefed on the activities of the Command and later visited various naval establishments, including INS Kalinga, INS Karna and Hindustan Shipyard Ltd on 01 September 2017. Mrs Aradhana Dua interacted with the Committee Members and ladies of the Navy Wives Welfare Association(NWWA) (Eastern Region) and visited the NWWA facilities during her stay at Visakhapatnam. 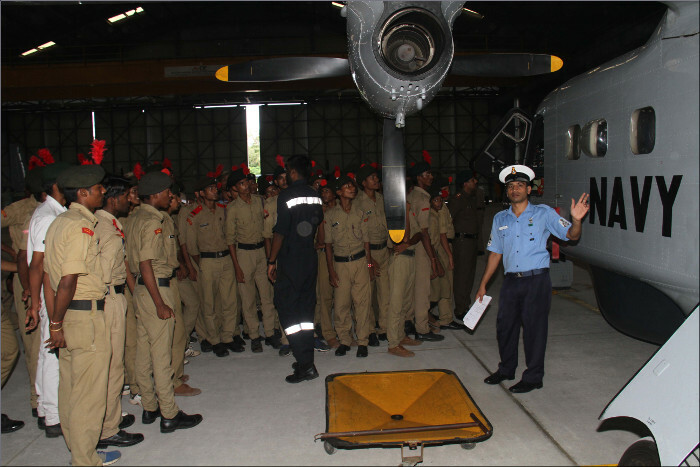 The aim of the visit was to motivate cadets to join the Armed Forces and they were taken on an organised tour of IN Air Squadrons 550 and 322, and were shown the Dornier and ALH aircraft. 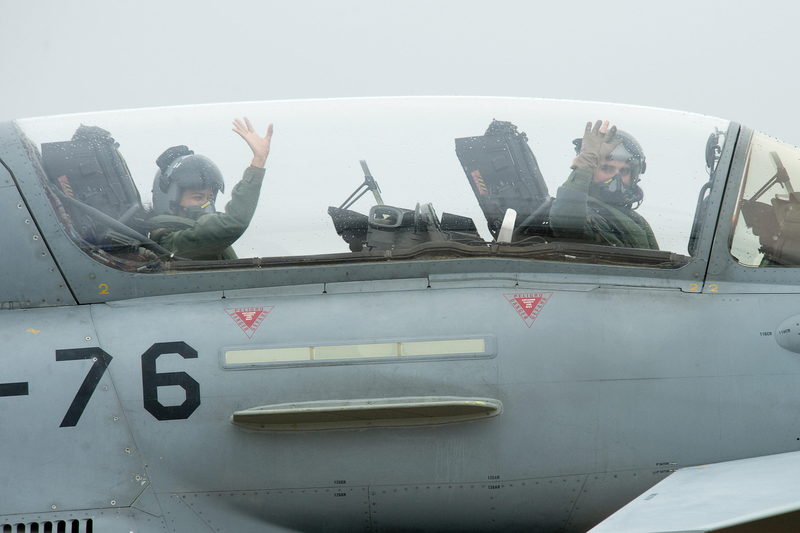 Various parts of the aircraft viz. 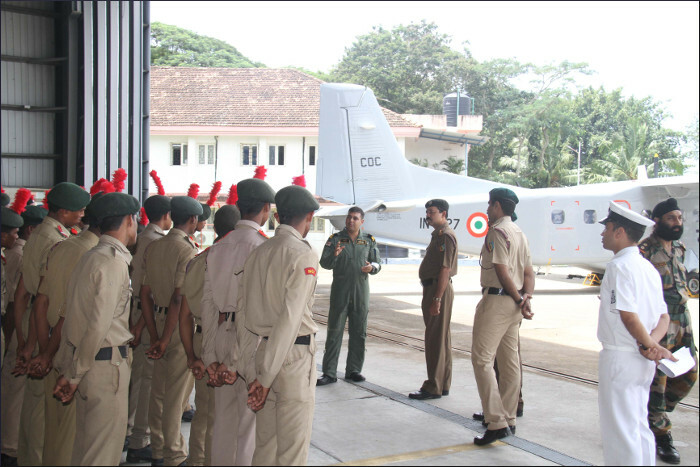 airframe, engine and equipment fitted in the cockpit were also highlighted to the cadets.